I've bought quite a few pieces on The RealReal over the years, since I first started shopping there in 2015. A common question I get asked is how I shop on the site. While there are great deals to be had, the user experience design of the website is bad. Like really bad. It is sort of hard to navigate and can be overwhelming. However, I've scored enough pieces that I think it is a worthwhile place to shop, and so I wanted to share some tips. Also, if you have any of your own, or if you have ever consigned with them (I have not, I've only purchased) I'd love to hear about it. Also, backing up a step, TRR is an online consignment store, whose claim is that they authenticate each and every piece that they receive before they put it on the site (also, authenticator seems like it would be a fun job). As such, they sell everything from t-shirts and shoes to Hermes bags and diamond rings. Also, when people consign with them, they ship the items to TRR so you only ever deal with TRR and not individual sellers, like you would on eBay or Poshmark. 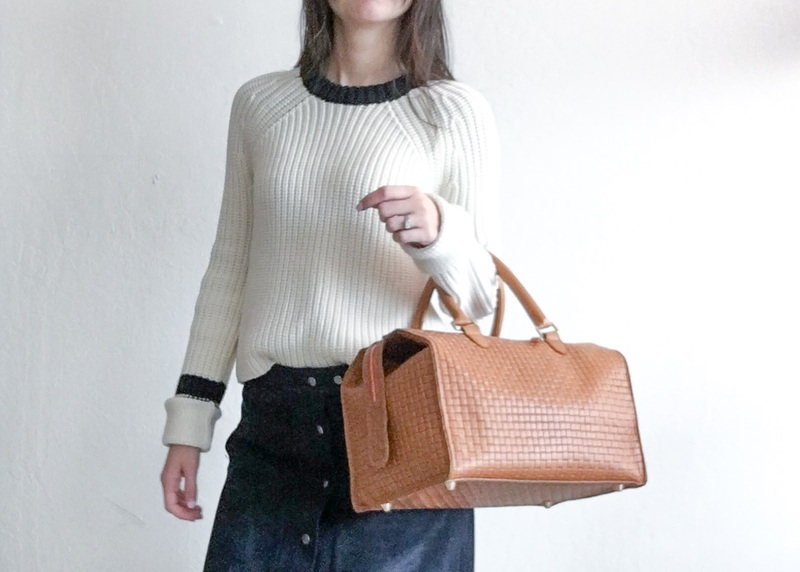 This sweater and bag are both from TRR. 1. Think about the shipping costs. Unlike many modern retailers, TRR does not offer free shipping. It doesn't matter if you are ordering $30 worth of clothing, or $300 (although they do sell some crazy expensive stuff so maybe you do get free shipping if you are spending like $3,000, but I've never seen any sort of free shipping offer). Not only that, but you also have to pay for return shipping, if you end up returning anything. I've found it to be about $11/12 each way (although might be more depending on where you live) so I am always very careful when ordering, and try not to order things on a whim, since the shipping costs are real (or realreal, if you will...). 2. Don't fear the timer. The website uses a timer system, so you only have 20 minutes from the time you add an item to your cart to check out before the item is taken out of your cart. I think this is supposed to pressure you to purchase quickly, but in my experience, I've never had something purchased out from under me in the time I was looking at it, so I just wait to add pieces to my cart until I'm ready to check out, or I "heart" them (all "hearted" items show up on a separate page) making it easy to track down the item and re-add it to my cart once it times out. I should say, however, that things do move quickly on the site, so while your item might not disappear in an hour, I've often found things to be gone within 24 hours. 3. Use it as a price check. One of the most typical ways I use the site is as a price check if I've found a piece that I really love. 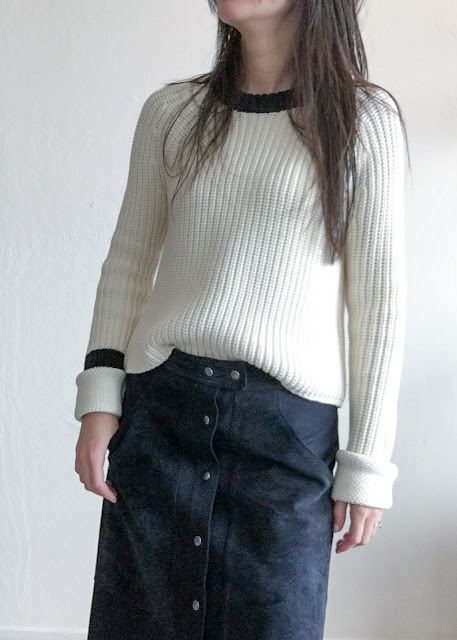 For example, I saw this sweater at a Nordstrom Rack, and loved the chunky knit quality, and the blue sailor stripe that was only on one sleeve. However, they only had it in size Large. I checked TRR and they had it in XS, for a better price (and listed as pristine condition, which, since it is knitwear, and white, made me feel better about the quality) and so I ordered. This has happened to me multiple times, and I've used it enough that checking the site only takes me a few extra mintues. You can refine the search, so in this case I just searched in Rag & Bone + women + knitwear + size xs (which I know is my size) and boom, after scrolling through a page or two, there it was. Similarly, Clare V is a brand that I always check (but one where items sell out on TRR very quickly). The bag pictured above is the Sandrine, by Clare V, and I couldn't find it on sale anywhere. I looked and looked and waited and waited and then one day, saw the woven one pictured above, and I moved on it. It was 50% off the retail price and the condition is great. It always seems worth it to me to at least take a peak at TRR if you have a big purchase in mind. 4. Browse by brand. The other most common way I use the site is to browse by a favorite designer. A recent example is Rebecca Taylor, whose pieces I love. 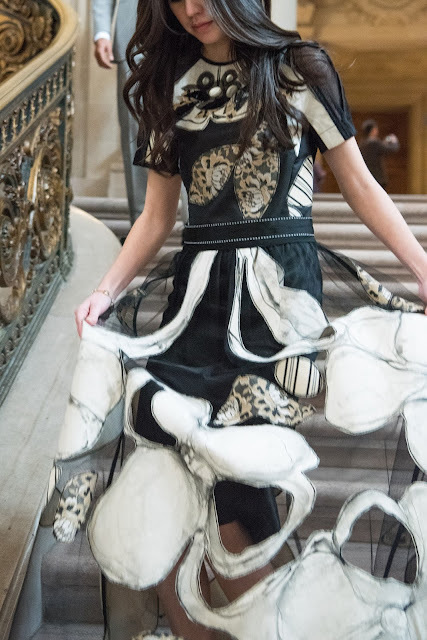 I will just scroll through the Rebecca Taylor offerings, limited by sizing, and see what they have, even if I am not necessarily looking for a particular dress or jacket or whatever. I have found that TRR has the most diverse and best priced selection of Rebecca Taylor items. My favorite purchase so far is this coat, which I stumbled upon one day while browsing and worn every day this past winter. I think the site is much easier to use if you generally know your size in different brands, both because it narrows down the selection, and makes it less likely you will need to return due to a sizing issue, and thus pay shipping. In that way, I think the site is optimized for people who already like to shop and/or are looking for something in particular. I think if you come to this website just looking for "women's dresses" for example, with no narrowing of brand/size/price, it will give you a headache. I have done enough shopping IRL that I feel comfortable making guesses about sizing based on brand/item type. 5. Check the condition. The last thing I would say is to always check the condition and look at the photos. TRR sells secondhand items, and while it seems like they only take items that are of pretty good quality, you should always read the description so you aren't surprised. I try to only buy pieces listed in Pristine condition, but have made purchases that are also listed as "Very Good" and have found them to be as described. I like TRR. I agree that it's good if you have a brand preference and then you can filter it down by size/color/etc... It is a lot more manageable than ebay and yoox for example. Are there any sites you think provide a really good user experience? I totally agree re. Yoox and ebay. Good tips! I haven't been very good at picking items from TheRealReal (though I ultimately have a 75% "success rate" of keeping items, as I rarely actually buy anything), as I haven't done enough in-person shopping or trying things on to really know the items or brands I've been shopping for. I've purchased items described as being in "very good" condition, and been very satisfied. Thanks for commenting! Apparently they are planning to open a brick & mortar in NY - I'm so curious to see what that will be like.